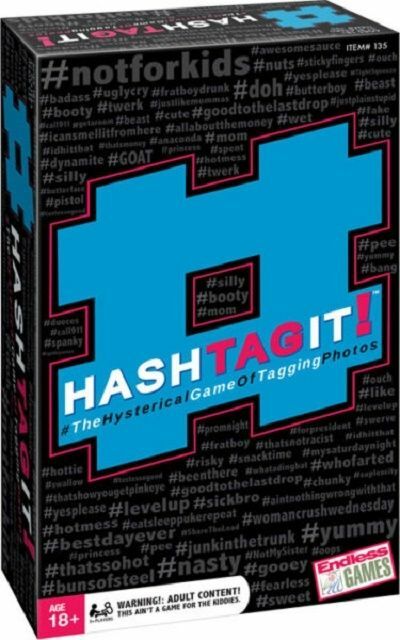 The Hilarious Party game of tagging photos with outrageous, quirky (and sometimes offensive!) Hashtags! #Hashtags! Each round begins with a completely ridiculous photo. Play the best #Hashtagit! caption from the cards in your hand. Be voted the best Hashtag and win the Photo.